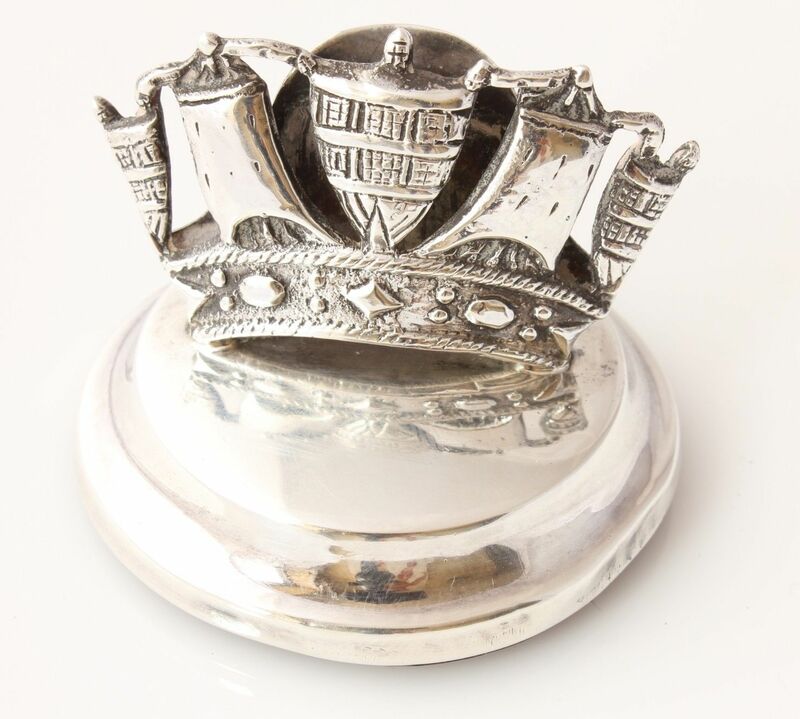 Antique Silver Royal Naval Crown Menu Holder. Navy Photo Card Clip. Grey & Co 1915. 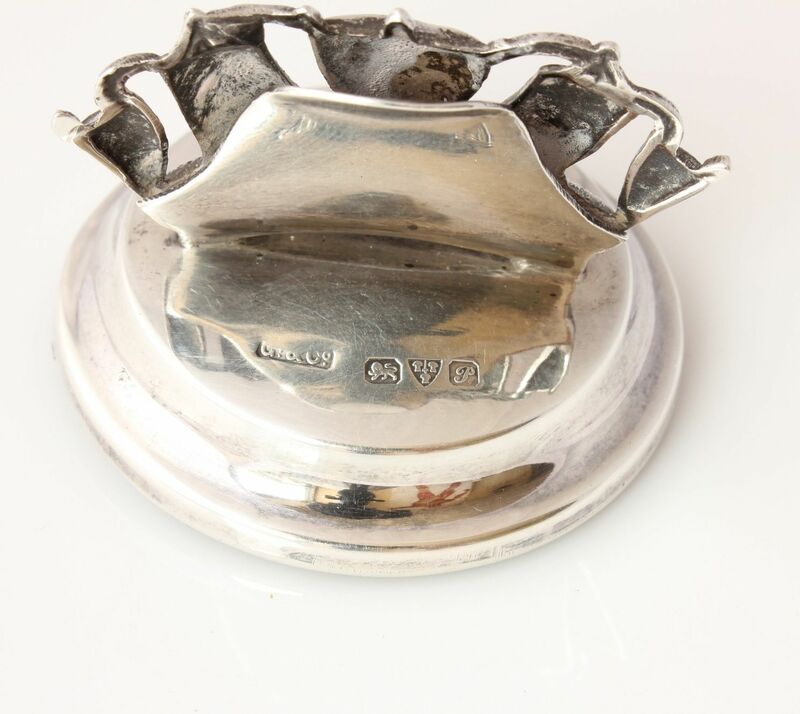 This unusual sterling silver menu holder which is of nice quality is made by silversmith Grey & Co and is fully hallmarked for Chester 1915. 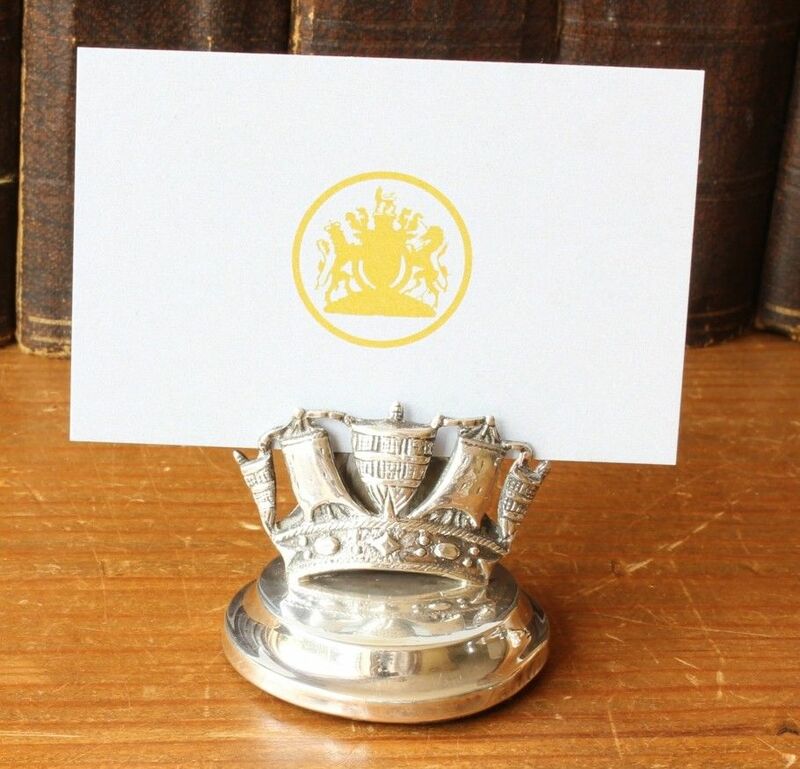 The pretty menu holder which is designed as a Naval Crown could also be used to display a photograph, business card or party invitation and looks very nice on display just on it's own. 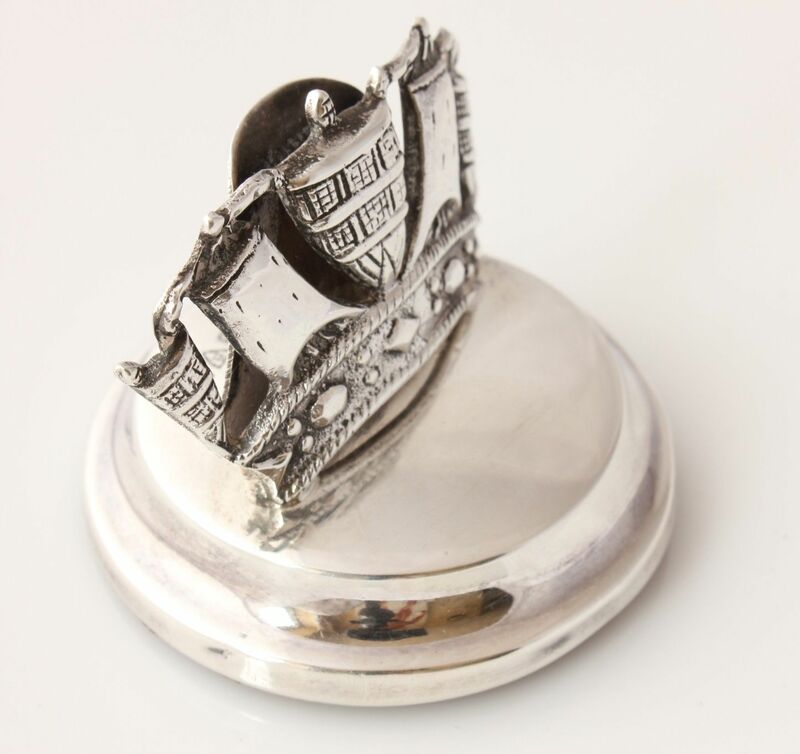 This would make a great collectors piece for a menu holder or Naval item collector and would make a lovely gift. 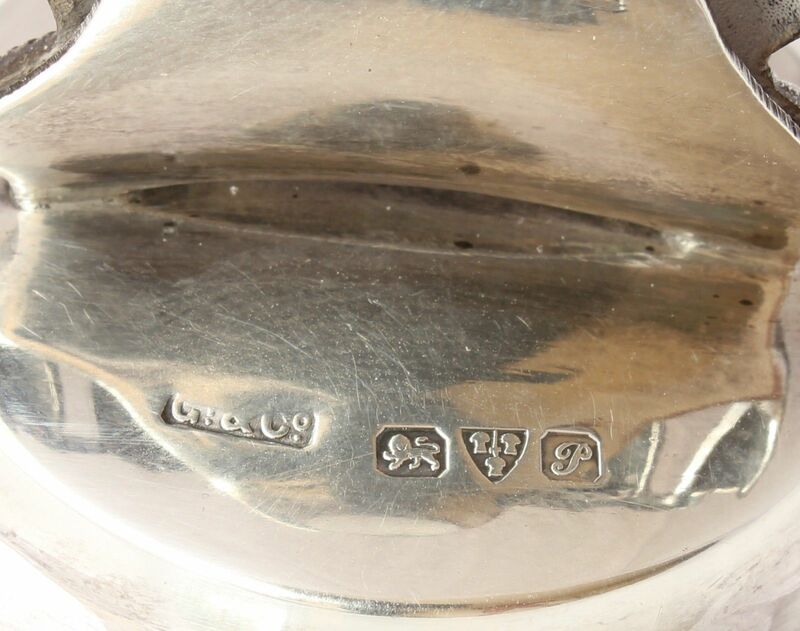 Hallmarked: Fully hallmarked with Lion for sterling silver. Chester. Date letter P for 1915 and with the maker's mark GY.&Co for Grey & Co. Height - 3.5 cm (1 1/2") approx. 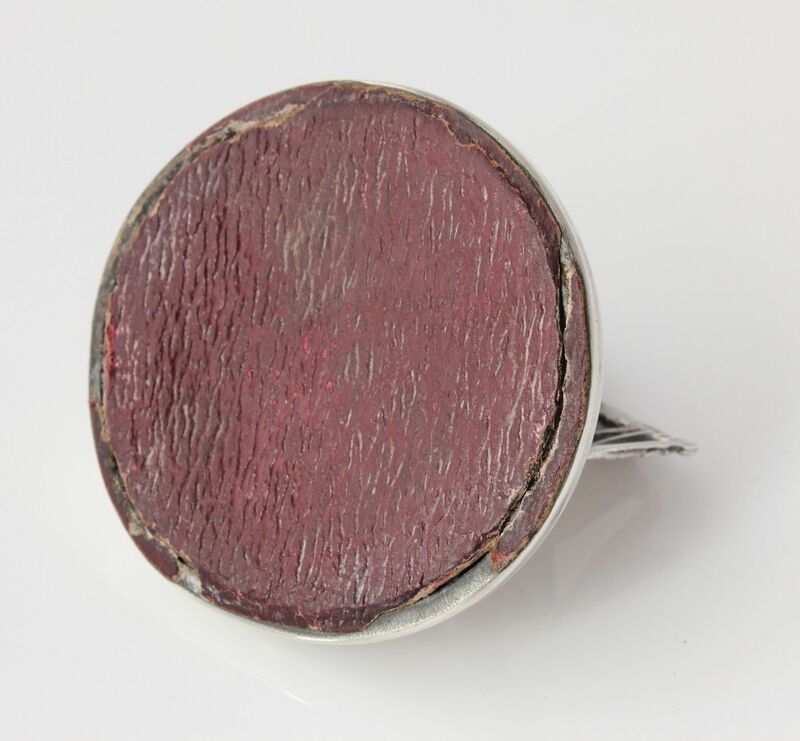 Diameter of base - 4.8 cm (2") approx. Weight: 54 grams. (Weighted base). Condition: Good used antique condition with some signs of age related wear and use. Some small dings and bumps, light scratches. The base is slightly loose. Please see pictures.